There is so much to consider when running a small business – from staffing, to product and service offerings as well as your business location. With this in mind, you also need to be aware of your competitors and having an edge or point of difference that sets you apart. 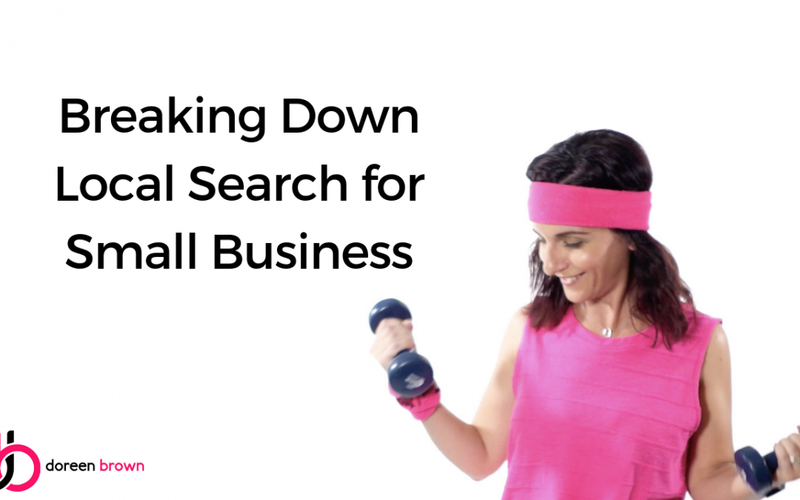 In this post I will be sharing some tips and techniques to assist your small business so it’s showing up in local search and users are finding you when they go looking for your business online. Your Local Business could be missing out on big opportunities without implementing the tactics you need. When you have a business that you are wanting to market online, Local Search can be an effective way to promote your products and services to local customers, exactly when they need them. There are a few strategies you can use when creating a localised campaign, which are specifically targeted and very focused. It’s important now than ever to be visible via mobile searches so that you’re not missing out on the local piece of the pie. NAP, also known as Name, Address and Phone Number are three elements in a local campaign that you must not ignore. Consistency is key. In order for search engines, such as Google to give you credit for your online efforts, you need to make a list and check it twice. Perhaps you have already commenced a campaign with local business listings and citations, or you are just starting out. It’s incredibly important to ensure that any mention of your business name, address and phone number are consistent across the web. Having former address or phone number details listed can not only misdirect your customers but also reduce your visibility in the local pack. If you want to see your business information showing up in local search results, you can’t bypass having a Google My Business listing. This free service allows you to create and update your details, so that your business can show up in Google Search and Maps. You can add photos, opening hours as well as customer reviews, which all provide insight and value to those searching for your product or service. The Insights functionality offers data about how your customers are interacting with your listing, where they are coming from and how they found you. This is valuable information that you can use when revisiting your strategy. Having your own website for your business is incredibly important when it comes to local search results. The site structure and CTA prompts (Calls To Action) you create will impact your positioning and lead generation. A responsive design that can be easily used and accessed from a mobile device, desktop or tablet is a non negotiable in 2018. Ease of access is the difference between a user landing and remaining on your site and bouncing off to the next competitor. If you have multiple locations, you will also need to consider having landing pages specifically for each one, ensuring your contact details, including hours of operation are maintained and kept current. A Local Search strategy for your small business will require an investment of your time and money. But if you are serious about your business and want to see it grow and be successful, it will be worth it. There could be big opportunities that you are missing out on without implementing the tactics you need. If you need some extra help with your Local Search campaign, get in touch today. Send an email or call 0433 603 522.